We’re integrating IFTTT directly into BloomSky mobile, bringing connectivity to a whole new audience. Thanks to a partnership with IFTTT, our latest update offers native access to IFTTT recipes. With this new feature you’ll have instant access to the most popular recipes from within the BloomSky app itself. *If* (sorry…had to) you don’t already have a free IFTTT account, now’s a good time to set one up. 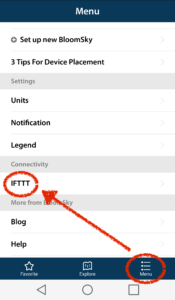 If “recipes” and “triggers” are words that seem out of place when talking about BloomSky, or if you’re still unsure about what IFTTT stands for, not to fear – we have you covered with an overview here. Due to the high volume of BloomSky “triggers” occurring on the IFTTT network on a daily basis, it turned out that the BloomSky app was a perfect candidate for this beta program. We are on a short list of only a handful of other brands that are in partnership with IFTTT and unveiling the preview of this direct integration. Although this initial stage is being tested with a small group of the most used connections on IFTTT, there are over 300 other devices and services waiting to help connect your world. Visit IFTTT to customize your own recipes, build a profile and connect other service channels, or do it all on the go with one of the IFTTT apps for mobile. Navigating to the ‘settings’ tab of BloomSky mobile (‘menu’ in the Android version), you’ll see a button for ‘IFTTT’. Click through to IFTTT then follow the prompts to set up your recipe, or set up an account with IFTTT if you don’t have one already. The recipes shown are the most popular and frequently triggered BloomSky-initiated actions; we’ll add more based on community demand. If you don’t see a desired recipe within the app, you can use IFTTT mobile or web to build your own. Some of our favorites are listed below, but visit the BloomSky channel to see more. What triggers do you want to see us add, and how would you use them? My account still gets disconnected from IFTTT 1x per month, where I get an email with the subject ‘Your BloomSky Channel is offline’ and I have to manually login to IFTTT and reauthorise the connection. Between the time of disconnect and my reauthorizing no Recepies that should have run run. This known and considered an issue that needs to get resolved? Hi Fish, yes – unfortunately we have had users reporting this issue. However, we’re not sure whether it’s on our end of IFTTT’s. We’re still trying to pin down the bug but it’s tricky to recreate and therefor hard to find. Please send us an email to ‘info@bloomsky.com’ so we can get some more details from you which may help us in our search. Thanks for the feedback! Does anyone have a recipe that will post an image on a personal website as it updates on the Bloomsky ? 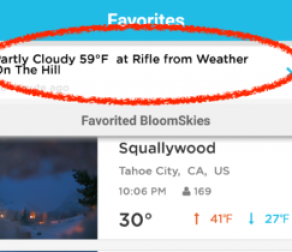 Does anyone have an IFTTT to upload still images to Weather Underground? WeatherUndergound is not yet on IFTTT, however it may be possible to save the image on your cloud drive (as above) then have that linked to WU. Where are the Still images findable? I would like to find all the still images my camera shoots, and when a new image gets there, I would like to be able to copy that image somewhere else, where I can do something with it. 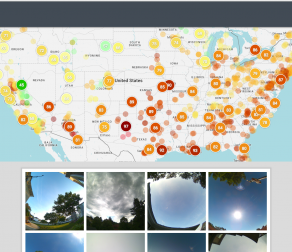 Hi LenLord, We’re currently working on a new ‘device owner dashboard’ to replace the beta version that has been operating for the past year (here: dashboard.bloomsky.com). The new dashboard will give you access to all of the pictures from your camera, day by day. Unfortunately, they not accessible without back-end (server) access. However, going forward you can save all the images when they are taken with an IFTTT applet (formerly called ‘recipes’). You can use the applet to save your image to Dropbox, Google Drive (or another destination folder) as the data comes in. The applet would use the trigger “Device Uploads New Image” -> “[cloud service of choice]”. Thanks for your question! My new storm keeps losing connection. It is right next to my storm that hasn’t lost connection since it was set up last year. Anyone else having this problem? Hi Dan, Can you confirm that you’re referring to the new Storm wind and rain station, or are you talking about the Sky station with the camera? You mentioned that the new device is right next to the other device that has been set up since last year, but we’ve only just started shipping Storm stations in the last few weeks. Please confirm which stations you’re referring to so we can delve into this deeper. Thanks! Hi Dan, Please email us at ‘info@bloomsky.com’ so we can follow up with you on this. Thanks! So the issue now is that the timelapse is posting to twitter or facebook every 2 minutes instead of at the end of the day. We were told this issue was being looked into around the first of December. Any update on this issue? Hi Richard, We’re continuing to work with IFTTT on solving this, but it appears to be happening with other services as well and has been hard to pinpoint. 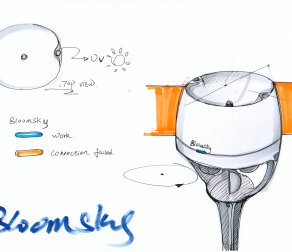 Would you please follow up with an email to ‘info@bloomsky.com’ with details on the specific issues you’re seeing. Thanks! Are there more users who log-in with their Facebook account? We do, but the result is that we can’t log-in to the dashboard. We mailt with Bloomsky a dozen times, but they don’t reply At all. 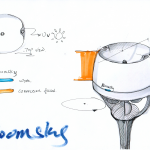 The comunication with Bloomsky is below every level. Hi Bernadette, Sorry for the issues logging in. We had that problem reoccurring in the early phase of our server upgrade near the start of the New Year, but most of those users seemed to have had no trouble since. Please email us at ‘info@bloomsky.com’ so we can get more details in order to look into your specific case. Thanks! For technical issues, please contact our support team at ‘support@bloomsky.com’. They’ll work through the problem with you, or send it up the chain to our developers. Thanks! I have set up IFTTT to show my daily video on my Facebook page but although my settings are in Celsius the video comes through in Fahrenheit which is useless in most parts of the world. How do I fix this?